The digital era has brought certain freedoms to the average worker which since recently have been unimaginable. The number of private firms has skyrocketed and freelancing has become the number one gadget for additional income. These conditions pushed flexibility to the top of people’s priority lists and offered real estate investors new ideas for making a profit. Shared workspaces are a product of a new era, one in which the workers choose their own terms. Defining a shared workspace is fairly easy, as the meaning can be logically derived from the term: a space shared by individuals which focus on independent, non-correlated work matters. Nonetheless, certain issues have arisen while specifying the meaning and idea behind the term “shared workspace”. For instance, there are tons of videos and articles online which debate the difference between coworking, collaborative and shared workspaces, as if that argument will bring any new perspectives on the matter, especially taking in mind that all three are basically the same thing. Instead of focusing on unimportant details, let’s discuss the benefits which shared workspaces bring to the modern world and the type of services they provide. What do Shared Workspaces Offer? At the beginnings of shared workspaces in 2005, there were only 3 locations offering such services. Today, only 14 years later there are roughly 14 411 coworking spaces worldwide. This drastic rise in numbers would seem shocking if freelancers and independent entrepreneurs didn’t recently flood the working market. Before shared workspaces, these types of workers had no choice but to work at home or at the local coffee shop. At first, it may seem like the ideal way of living, but people soon realized the importance of socializing as loneliness and isolation started to negatively impact one’s enthusiasm and creativity. This is why shared workspaces came to existence and started offering individuals a 24/7 available space where at the same time one can focus on work and share ideas or communicate with people from different areas of expertise. Depending on the company-provider, the shared workspaces offer free beverages, food, community amenities (ping-pong tables, pools, fitness classes), printers, computers, lockers, group and entertainment events etc. Some of them even have soundproof booths or quiet zones to enable individuals to maintain their needed privacy. The best-shared workspaces are made by the most advanced practices in interior design, meant to increase productivity while sustaining individual freedom. As everything else, shared workspaces do have their own pros and cons. The main and probably only disadvantage of shared workspaces is that they require monthly payments. Even though this may be a good thing for group startups which can save up to 1000$ of dollars on rent-money (hint: coworking is much cheaper), freelancers, artists and other individual workers will spend significantly more since doing the same work at home doesn’t require any additional monthly fees. Another way to look at this whole thing is to start thinking of shared workspaces as business investments. With participating in an atmosphere filled with entrepreneurs from various fields, you have the one in a lifetime chance to spread your branches and get some new collaborators or clients. Apart from networking, shared workspaces bring other benefits such as increased creativity, unlimited expert advice, 24/7 office access, enabling you to do things on your own paste, inducing a sense of broader belonging and free usage of utilities or community amenities. Admittedly, the main disadvantage of shared workspaces is easily overruled by one of the many benefits they offer users. This is exactly the reason why they exist in such a large number and why you should try them at least once. How to Find Shared Workspaces? Shared workspaces exist in a physical and in a virtual form. The best way to find them is by simply typing on Google search bar: collaborative spaces, co-working locations, shared workspaces etc. The popular providers of coworking are WeWork, WorkSnug, ShareDesk, Regus Coworking, Croissant and Seats2Meet. There are providers focused on specific areas like USA, Europe or Asia but most of them have invested in worldwide access and have locations in almost every main capital. 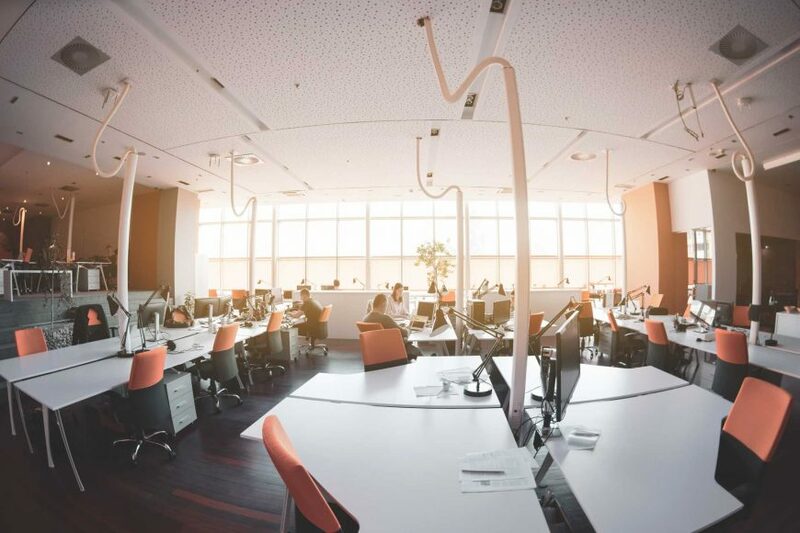 To choose the ideal shared workspace, you should carefully investigate the provided services such as meals, internet quality, 24/7 access, fun or quiet zones etc. Do not be afraid of looking picky and nosy as you’ll be asking tons of questions to the company. Their main job is to keep you satisfied and remember that you still are paying access to workers heaven, no matter how amazing it looks. Monthly prices can vary from $30 to $1000 depending on locations, amenities and providers. Not to worry though; you can find quality location and service even for $200 a month. Skyward Business Centre is conveniently located in Mississauga. We have a wide variety of office space for rent that are beautifully designed and professional equipped. We provide customized shared office space rental solutions designed to inspire you and to deliver maximum flexibility and performance for your business. You can find your ideal office space in Mississauga at Skyward Business Centre.